Heat oven to 325ºF. Generously grease 12-cup fluted tube cake pan with shortening or cooking spray. Make cake mix as directed on box, using water, oil and egg whites. Success: When adding the batter to the cake pan, do not mix the colours; pour them on top of each other. Tip: Experiment with tinting the batter and frosting with different food colours. Pale blue looks nice too. 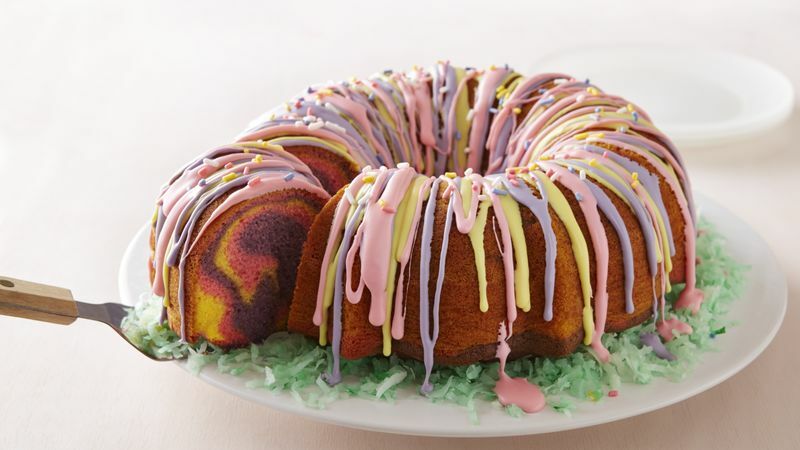 Tip: Add jelly beans or your favourite Easter candy to the centre of the cake for added decoration.